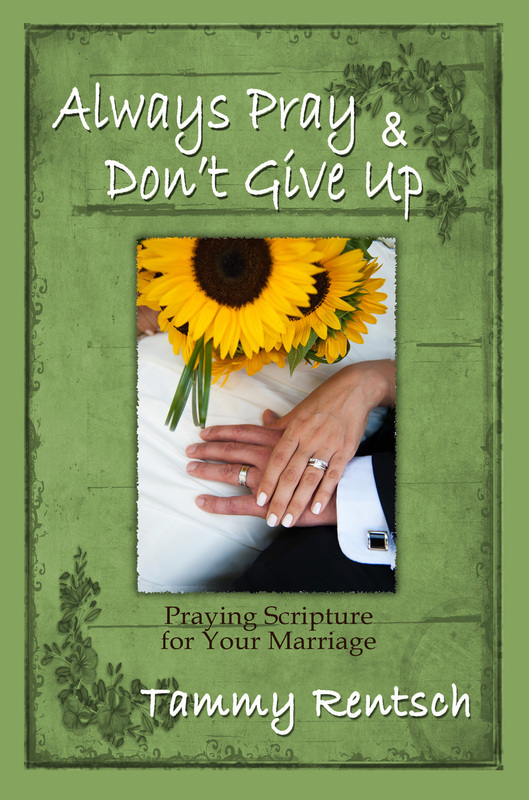 The long awaited release date for Tammy Rentsch’s first book, Always Pray & Don’t Give Up: Praying Scripture for Your Marriage, is finally here! The book launch event happens tonight, August 8, 2015, with up to 100 guest expected at the Jeanine Taylor Folk Art gallery in Tammy’s home town. The event promises to be a nice evening out. Photos and videos will be shared on JuaniaBooks.com as well as on Tammy Rentsch – Author’s Facebook page. The Q&A is set for 8pm and questions will be taken from Tammy’s Facebook page, which will be monitored by our social media event hostess. This little book is a profound demonstration of God’s power and of true faith in action. It is a guidebook for learning how to pray Scripture, filled with eighty-nine weekly Prayer Sheets for your marriage — eighty-nine pages of power that will change your life and the lives of all those around you, as you too learn to always pray and not give Up! “Praying Scripture is the most powerful and effective way to pray for your marriage. It can be a daunting task to search out all the passages that apply, though. In this book, Tammy has done the hard work for us in compiling a beautiful arrangement of God's attributes along with verses to pray for myself, as a wife, and verses to pray over my husband and marriage. The Lord has used many of these passages to bear fruit in my own life and marriage." Copyright © 2013 Juania Books | All rights reserved. Site Designed by Firebrand Strategies.